TOKYO CREATORS Season 2 "Food" | jibtv.com | Japan International Broadcasting Inc.
Today we introduce Mr. Satoshi Ikuta, the founder of “Ramen Nagi”; the place first opened in Shinjuku, Tokyo, and now has also advanced to other Asian countries. The characteristic of “Ramen Nagi” is the soup made from “Niboshi”. Niboshi is a food ingredient made of dried fish, and is popular in Japan. Mr. Ikuta had spent many years searching for a way to “make ramen that will surprise the customers,” and found this Niboshi Ramen. 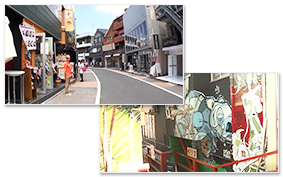 Just taking a step from the busy main street of Harajuku into an alley, we can see many colorful clothing stores and sweetshops lining along. A stroll would give us chances to meet many unique people and art galleries. 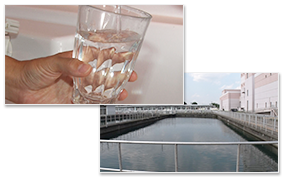 In this segment, we will show you the field and the process flow of the Tokyo’s tap water production. “Tap water” of Tokyo is as tasty and safe as bottled water. How is that possible? 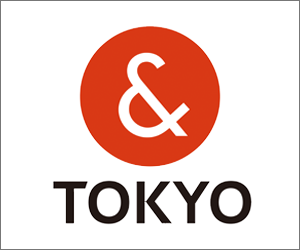 Tokyo is holding various events introducing the tastiness of Tokyo tap water. Today, we’ll unfold the secret in the making of Tokyo tap water.